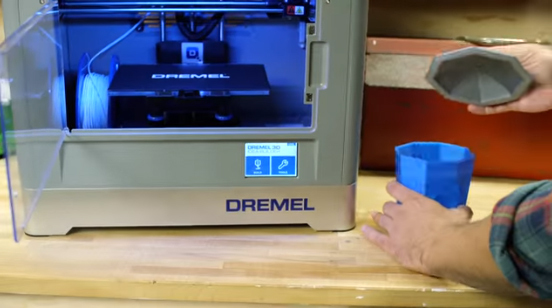 Dremel has debuted a 3D printer designed specifically for use in the classroom. The Dremel 3D Idea Builder is now available to the education market, complete with teaching tools and customer support and training. Available for about $1,000, the 3D Idea Builder is a 20-pound device roughly the size of a small microwave oven. Inside it is an extruder that heats and places the plastic on a left/right and front/back axis. Its movements are controlled by a 3D design digital file that can be downloaded to the printer. Its reduced noise quality minimizes classroom distractions while printing. Last week, 3D Systems sent an email out to registered customers of Cubify.com, its consumer 3D printing marketplace, announcing that the closing of Cubify.com and the discontinuation of retail 3D printed products, such as jewelry and phone cases. The email left many wondering just what this sudden exit from the retail consumer marketplace could mean for the 3D printing giant as it enters 2016. Today, the news has been officially confirmed and clarified by the company itself. What Ever Happened To The Mainframe Computer? "Make Any Pair Of Speakers Wireless"
Survey Articles: What's New In 3D Printing? How Will Augmented Reality (AR) Change Your Job? Do Self-Driving Cars Need Humans?